!!!!! Ironically, words aren’t coming to me right now. I’ll just share the good news with you …. Official press release is below. Also check out the story from the Post and Courier. 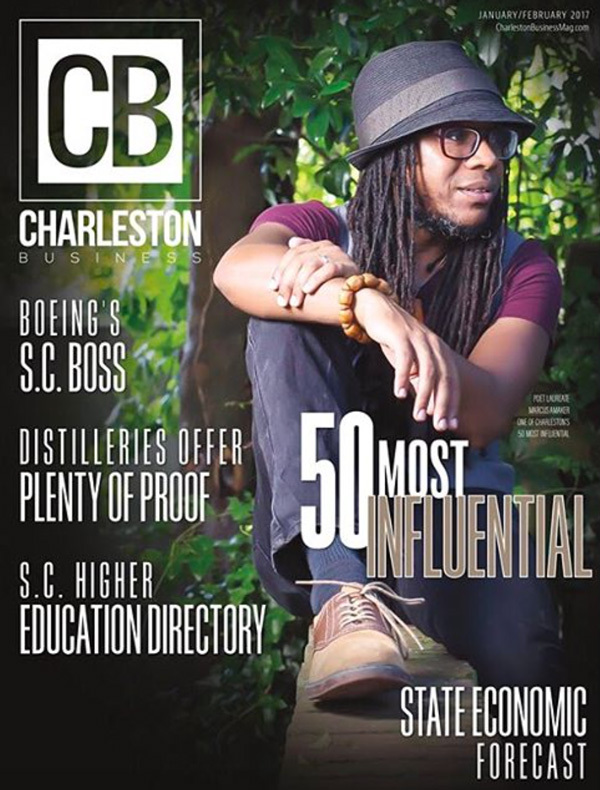 Charleston, S.C.—Mayor John Tecklenburg announced the appointment of Marcus Amaker as the first Poet Laureate of the City of Charleston. The position of Poet Laureate of the City of Charleston was established at the May 24, 2016 meeting of City Council. Amaker is an award-winning web designer, graphic designer, videographer, musician and author. He graduated from the University of South Carolina with a bachelor’s degree in journalism. As an author, Marcus has released seven poetry books and has performed for national TV. His poems can be found in several volumes, including “Home Is Where: An Anthology of African American Poetry from the Carolinas,” “Seeking: Poetry and Prose Inspired by the Art of Jonathan Green,” “My South: A People, A Place, A World of Its Own” and Charleston Salt and Iron. As a spoken word poet, he’s performed for the MOJA, Piccolo Spoleto, Spoleto and North Charleston Arts festivals. As Poet Laureate, Amaker will— in conjunction with the Office of Cultural Affairs —implement a community outreach and education program to encourage the writing, reading and performance of poetry within the city; participate in civic events by providing public poetry readings, workshops, lectures and/or presentations; promote literacy through poetry in schools and foster the development of a youth poetry initiative, with the goal of providing a system and platform for emerging youth poets to present their works in conjunction with City sponsored events; commemorate the City of Charleston by composing poetry that speaks to, for and of the region, which will be presented at an annual City of Charleston sponsored event. The City of Charleston will hold a poetry reading and reception featuring Amaker at 6 p.m. on Wednesday, June 29 at the City Gallery at Waterfront Park. Amaker will be at the Charleston Farmers Market on June 25 with other local poets typing and writing poetry for people on a typewriter. He will also be presenting the inaugural Charleston Poetry Festival, in late October.